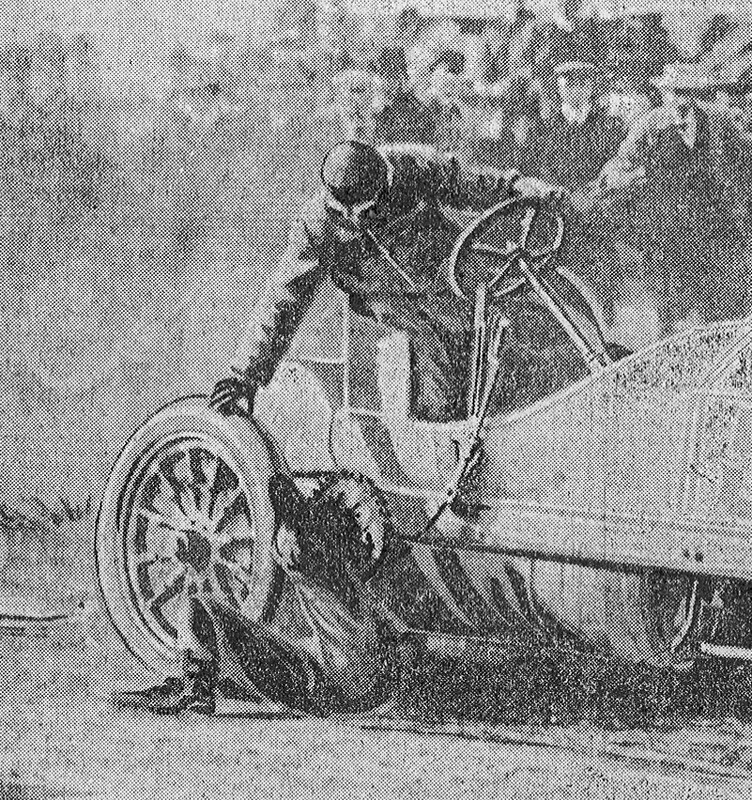 The success of the first Vanderbilt Cup Race resulted in many more racers candidates trying to enter the 1905 race. The number of entries was limited to five for each country. An American Elimination Race for 12 racers was held to help determine the five entries who would represent the United States. The French Team was named based on the cars that made the best showing in the Gordon Bennett Elimination Trials. The German Team was selected among the many Mercedes which wanted to race by the Deutsher Automobile Club of Germany. 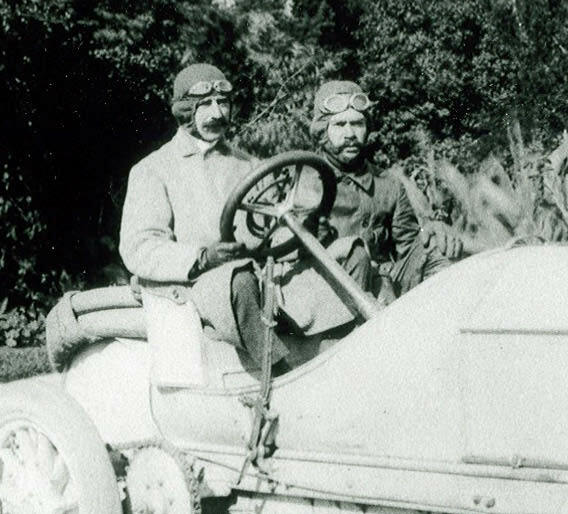 Despite its strong showing in the 1904 race, the Deutsher Automobile Club did not select Wormser's Mercedes to race again and William Luttgen lost his ride. 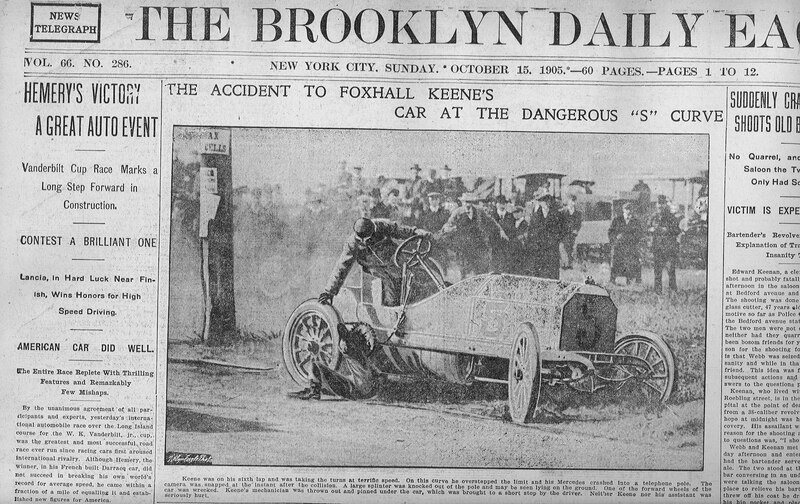 But, American Foxhall Keene was selected to race his Mercedes and he immediately hired the experienced William Luttgen to be his mechanician. 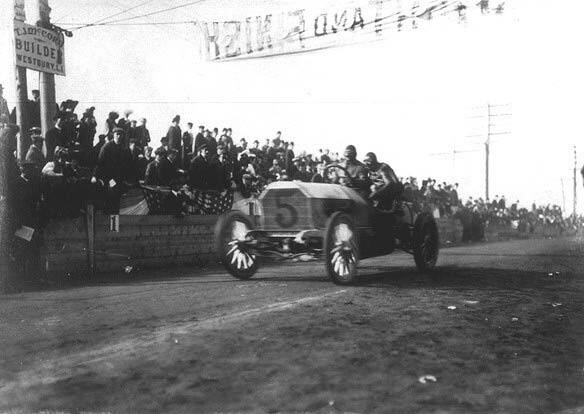 Here Foxhall Keene and William Luttgen can be seen speeding down Jericho Turnpike in front of the Mineola grandstand (and Horace A. Beale, Jr.!) in their #5 Mercedes. 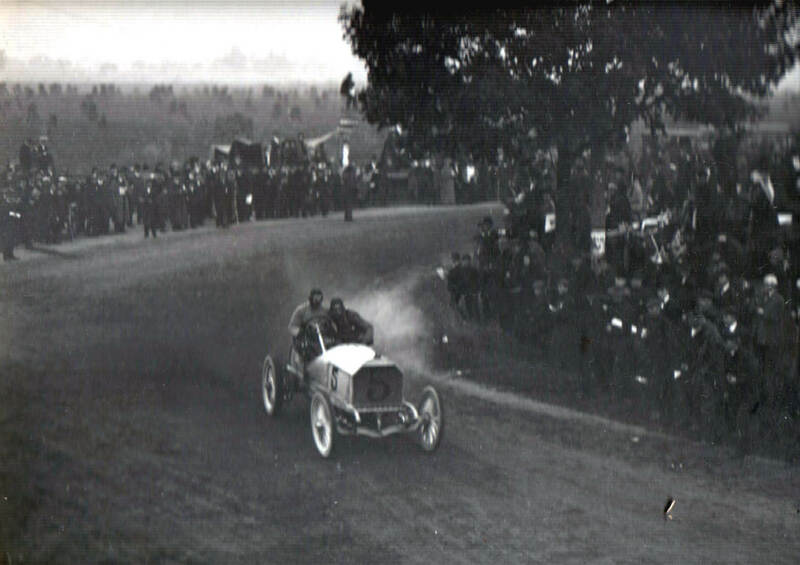 A big challenge for the drivers during the 1905 race was the New Hyde Park Turn at the interesection of Lakeville Road and Jericho Turnpike. Here during the fifth lap of the 10-lap race, Keene and Luttgen had pulled into third place averaging 60.4 miles per hour. But, while driving hard on the Albertson "S" Curve at I.U.Willets Road and Willis Avenue, the race would end for the Keene/Luttgen team on lap 6. As their Mercedes skidded around the curve, the left wheel clipped a telphone pole and pitched Luttgen under the car. Miraculously, he was not injured..